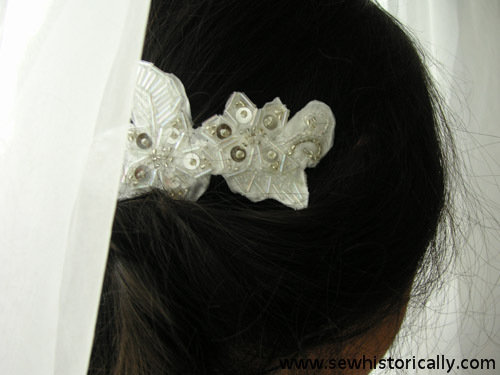 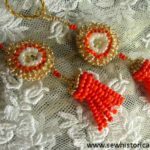 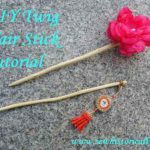 This beaded hair accessory is completely hand-stitched and made without glue. 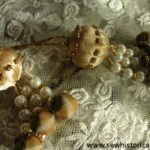 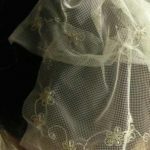 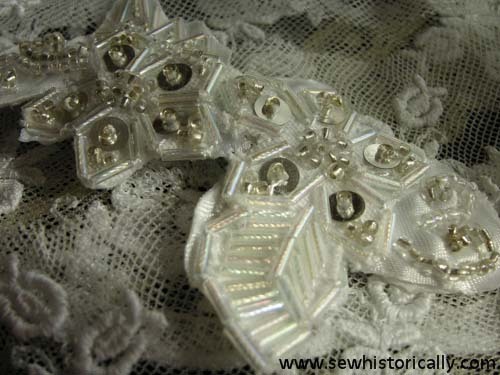 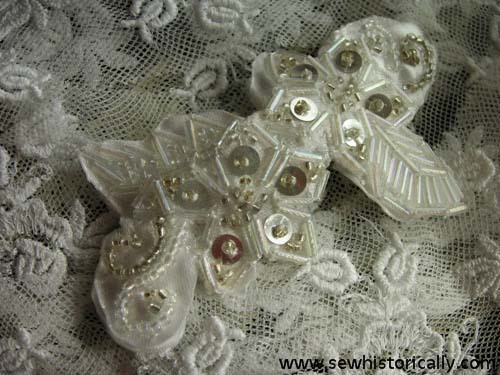 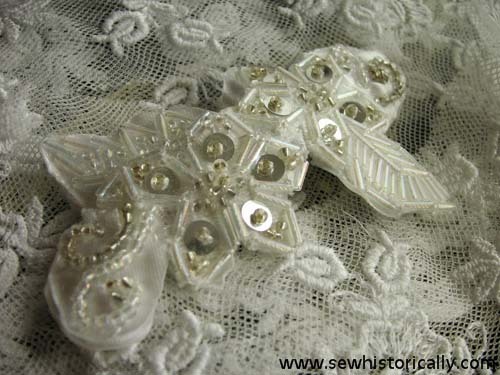 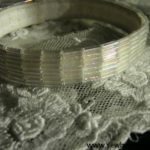 I’ve used different white, transparent, and silver glass beads and sequins for the bead embroidery. 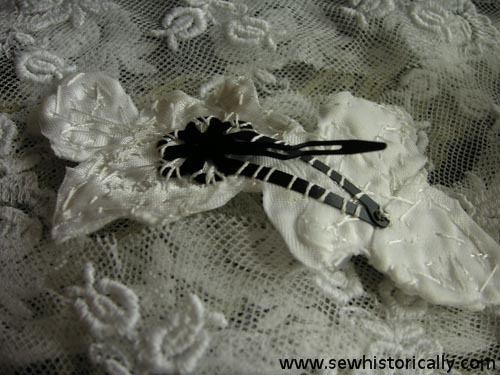 The fabric foundation is white satin. 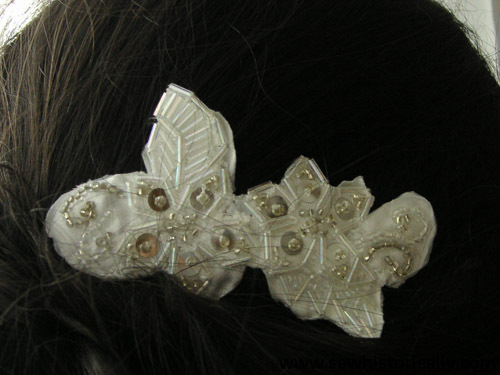 I’ve sewn a black metal hair clip to the back of the beaded hair piece.